July. I feel like I've just blinked and now half of my summer has gone. What have I been loving this month? When I think of beauty items I have been loving this month, one sticks out at me straight away - my beloved Anastasia Beverly Hills Modern Renaissance palette. It truly is the palette of dreams, and I think I've honestly created a couple of my favourite eyeshadow looks ever with it. The shades I love using the most are Red Ochre, Love Letter and Vermeer - I love how there are so many mattes in the palette, but it still pulls through with a beautiful shimmer like that. Now I'm usually not one to see much of a difference from mascara to mascara, but this one I have seriously fallen in love with, and won't be using any other in future. It's the Maybelline Lash Sensational mascara - but in the luscious blend formula. You would not believe how much better the new formula is! I used the original one a couple of years ago and it was alright, nothing special, but this one (with an entirely new brush, I may add) curls and lengthens my lashes like nothing ever before. Red seems to be the colour I'm obsessed with clothing wise currently, I have no idea where it's come from but I feel like I'm reaching for all the red tops in the shops at the moment. This one from New Look is one of my favourites, and I don't think it was much more than a fiver either. I've decided to start rounding up my most played songs in my review, since I am obsessed with using the lastfm app to track my listening habits. Surprisingly, The Vamps latest single has been my most played song of the month, at 20 listens. I honestly never thought that would happen again as their music isn't to my taste as much as it used to be anymore, and unfortunately that goes for the majority of their latest album, which I did give a listen when it was released this month. 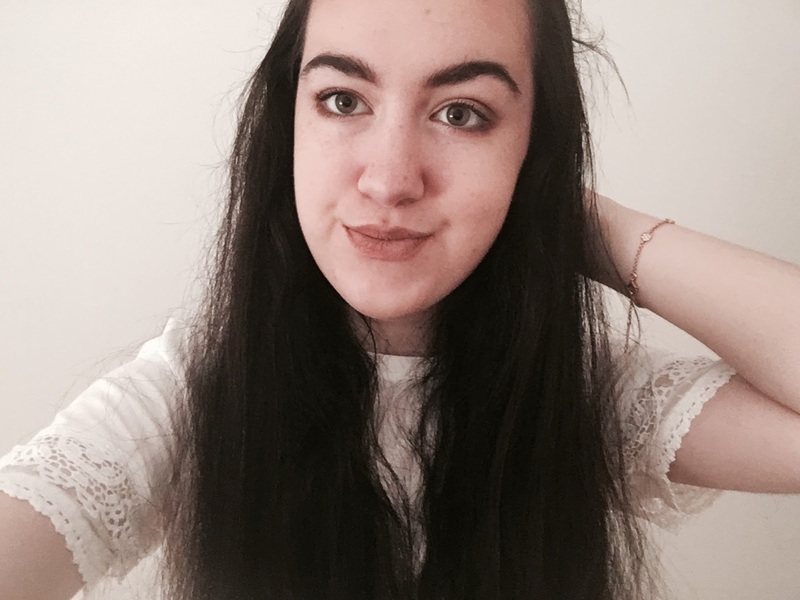 However Just My Type is an anomyly, a song by The Vamps I am very excited about, I think as its sound is linked a lot more to their roots than the rest of their music nowadays. As I expressed my excitement of in a recent music post, Danny Jones' first solo single Is This Still Love is undoubtedly one of my favourite songs of this month. Since McFly appear to be on an indefinite haitus, I am so happy Danny has branched out into solo music, and I'm hoping he does a Harry Styles and I end up enjoying him solo even more. I really can't wait for the rest of his releases over the upcoming months, but I am very happy about this single for now. Since I finished Parks & Rec last month I've pretty much gone back to watching Friends re-runs, which is hardly a surprise as when in doubt, I always choose Friends. I have began watching it all the way from the beginning with my brother who has started to be interested in it, which since I haven't watched it in order for two years now is fun. 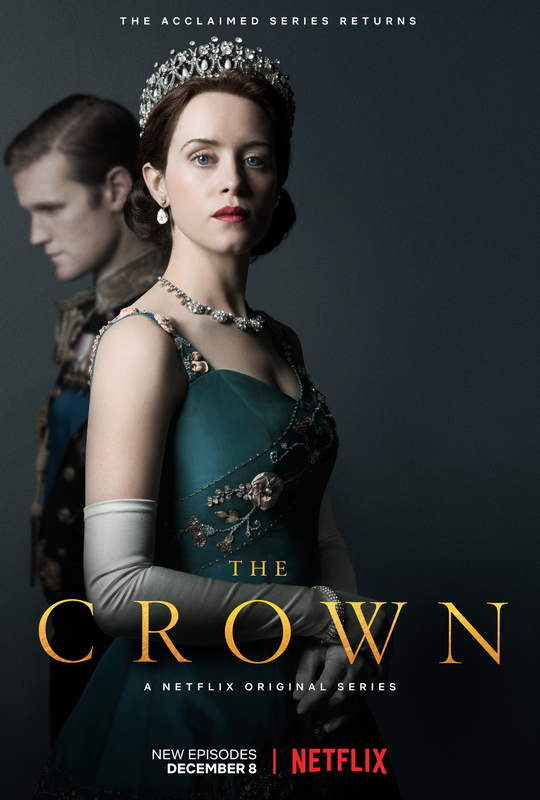 I'm also really trying to get into the series The Crown, I watched the first couple of episodes a few months ago so I've picked up where I left off and am currently just over half way through the first season. I find it super interesting, moreso from a historical point of view than anything else as there are so many different historical events that have affected the Queen and the royal family more than I expected. My only difficulty is the episodes are an hour long and I rarely feel like I have time to commit watching an episode so long, which is why I'm finding the summer the perfect time to settle into it. I went to the cinema this month for the first time in ages to watch The Incredibles 2 - I mean how could I possibly not? I absolutely adored the first one, which somehow my closest friends have never even heard of. It was really funny, I especially loved how involved the children were in this one. I'm dying to see Mamma Mia 2, as all I've seen on Twitter are raving reviews of it, however my friends can't seem to get their act together to stick to plans with me to see it, so we will see if that ends up happening this month! I have been off college for the whole of July, however the amount of work, partly art, mostly reading, I have to do for it means that even though I haven't been there in well over a month, I haven't stopped thinking about it. I really wish I could shut off from it, at least for a little while, but the fact that I'm approaching half way through my holidays and I have so much still to do keeps ringing in my mind. I visited Cambridge this month, the last of the uni visits until September, which was a lovely city to visit. In all honesty, I am swaying towards Oxford currently in terms of my application, that just feels to be the city where my heart lies, but I enjoyed Cambridge nonetheless. Lytham Festival also happened this month, the music event of the year in my town, which I decided to save for my life section rather than music as I felt it just fit better here. It was a super fun evening, even if it was typically raining for a lot of it - I think that kind of made it more memorable. It sounds like you had a lovely July! I went to see Incredibles 2 and Mamma Mia 2 recently and both were amazing.